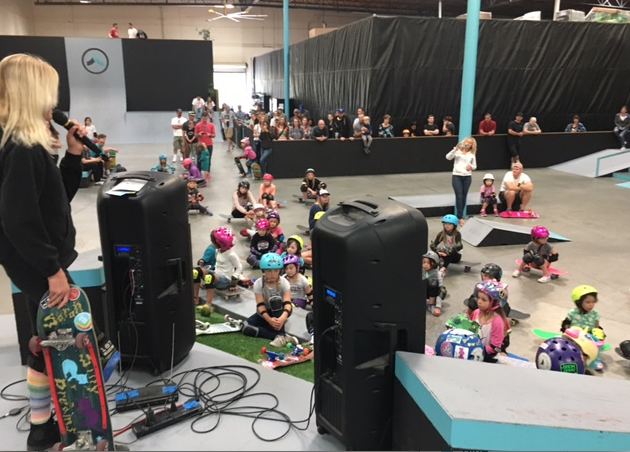 Skate Rising held their April 2017 event at Academy Skatepark in Vista, CA. 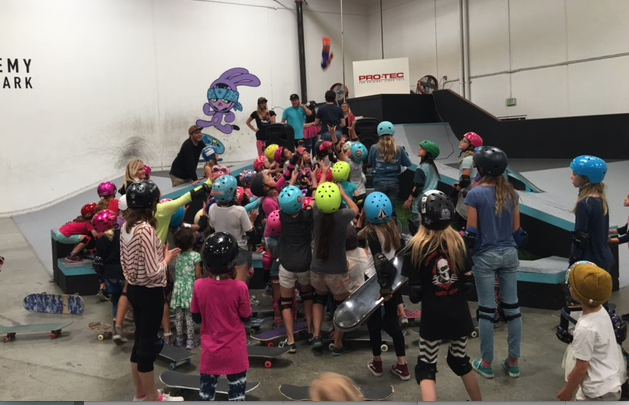 The guest speaker was Rachel Smith, founder of Pride Socks with Bryce Wettstein, team rider. Before speaking to the girls Rachel signed to them because her first language was ASL. Both Rachel’s parents were deaf and growing up she was teased for being different. She shared her experience of being shy until meeting an inspirational coach. 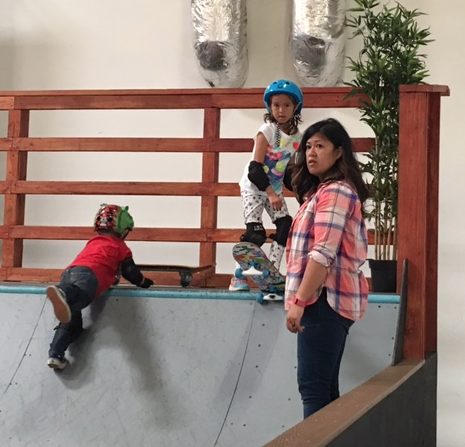 The coach inspired her and it’s that inspiration that she “pays forward”. She started Pride Socks to help others instill positivity into their minds and hearts. She believes that just like “you are what you eat” – “you are what you think”, so choose to think positively. She shared that thinking positively helps you “chase your dreams, never give up, & be proud of who you are”. I am awesome, I am strong, I am me! 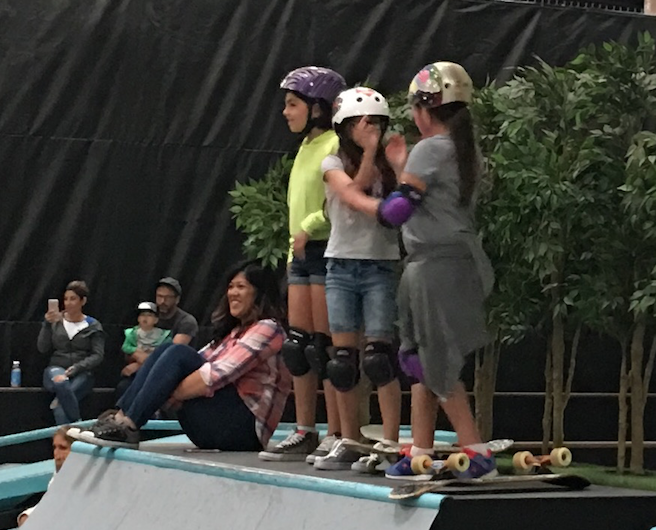 She also encouraged the girls to face each other and tell the person next to them how awesome they are. They are billions of people in the world, one girl said 7 billion, but there is only one you. Rachel wants everyone to remember and cherish their uniqueness. She reminded the girls that whatever you tell yourself your mind will believe so tell yourself – “I am awesome, I am proud, I am me”. 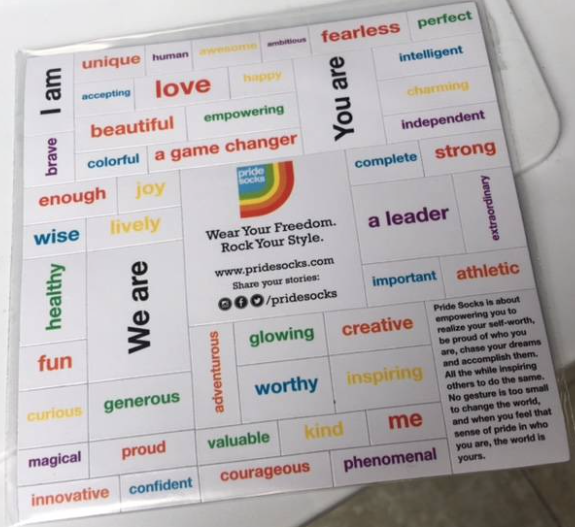 To help people tell themselves positive things, Rachel created a magnet set. Each girl received a magnet set to take home. 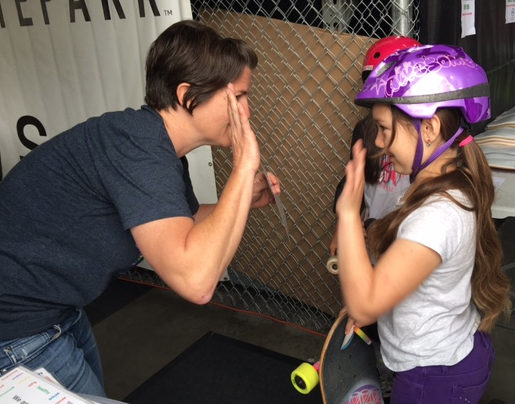 In addition to skating, the girls had the opportunity to fill out Pride Cards. Plus they got to sign a thank you to Neal Mims card. 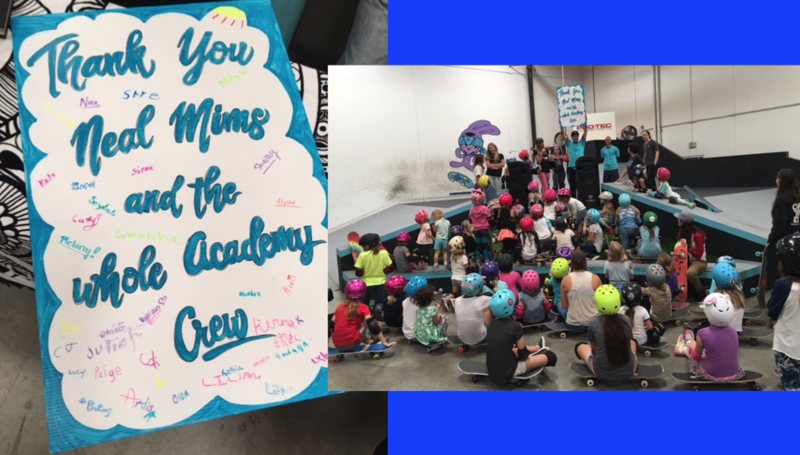 Neal supports Skate Rising by opening Academy Skatepark and having his entire staff welcome & support the girls. 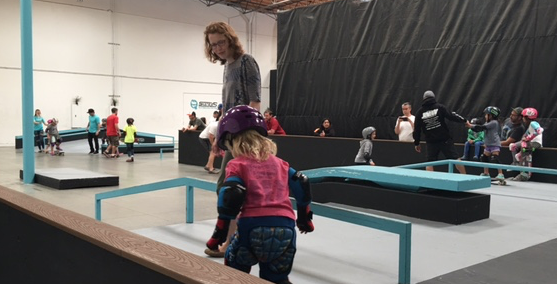 “An attitude of gratitude” is a life lesson that Skate Rising models. Strong Women Raising Strong Women! The event which is free to attend, ended with a product toss from Pride Socks. Above “socks in the air” and below Rachel said goodbye and reminded each girl how special she is. 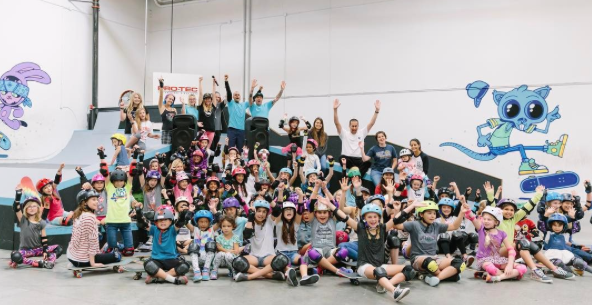 That’s a wrap for Skate Rising April 2017 in San Diego. 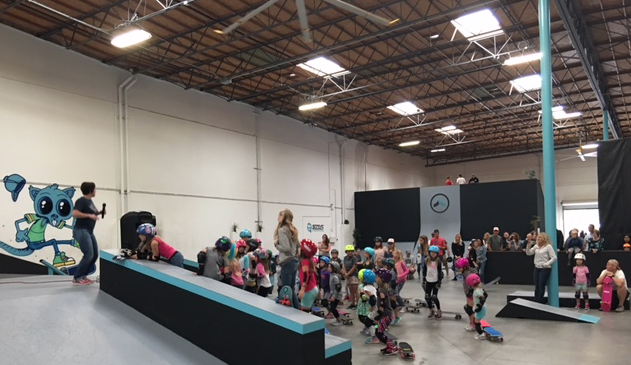 Up next Skate Rising April 2017 in Phoenix on April 15th. 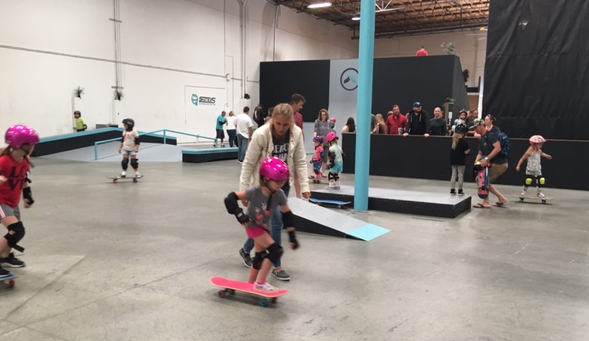 If you have pictures and stories to share about your Skate Rising experience just let me know. 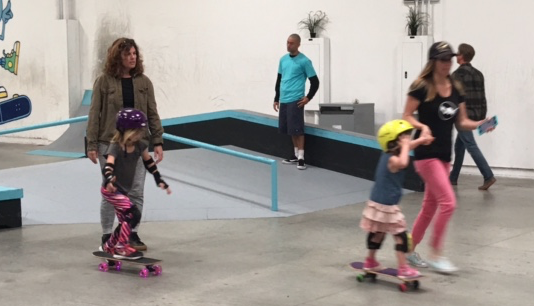 All girls are encouraged to share why they have fun skating and want other girls to skate too. To read the interview with Rachel and find out more about Pride Socks check out the 3/29/17 post.